Click image to enlarge or visit the website. RESEARCHERS are inviting adults from rural areas across three Australian states to speak up about whether the design of their local area helps them to get moving. 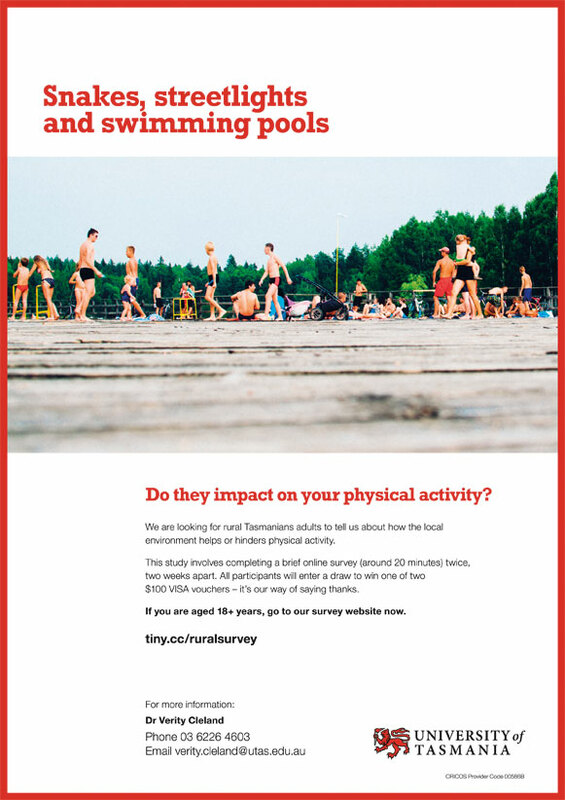 New Norfolk is one of nearly 50 towns invited to take part in the survey being conducted by the Menzies Institute for Population Health Research. 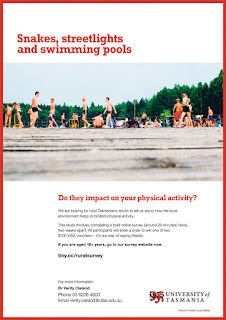 “We want to know how the design of our local areas encourages or prevents us from being active, and whether people in rural areas have access to a sufficient range of safe, well-maintained places to be active,” Menzies researcher Verity Cleland said. Dr Cleland leads the study, which also includes researchers from the Institute for Physical Activity and Nutrition at Deakin University in Victoria and the University of South Australia. “Academic research has shown that the local environment is related to physical activity levels in cities, but this sort of research has rarely been done in a rural setting in Australia,” Dr Cleland said. “Creating environments that make it easy to be active without even having to think about it has enormous potential as a way to improve population health,” Dr Cleland said. Tasmania: Devonport, Ulverstone, Strahan, Queenstown, Wynyard, Campbell Town, New Norfolk, Deloraine, Bicheno, Burnie, Bridport, Latrobe, Scottsdale, George Town. South Australia: Victor Harbour, Port Augusta, Mount Gambier, Millicent, Bordertown, Murray Bridge, Clare, Tailem Bend, Maitland, Port Pirie, Berri, Renmark, Kadina.